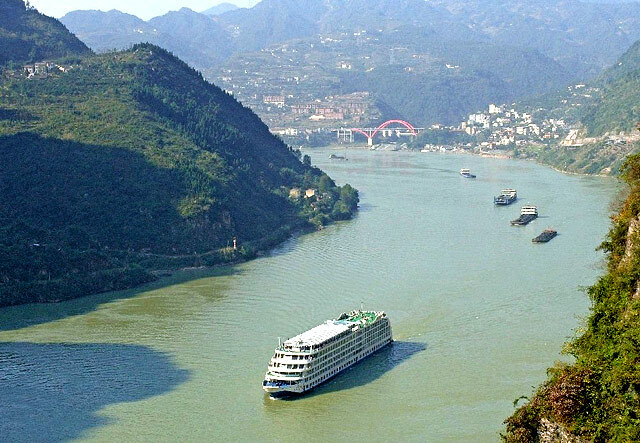 The Three Gorges of the Yangtze River are a system of breathtaking gorges on China's longest river, which is also the third longest river in the world(after the Amazon and the Nile), stretching for 6300km(3915 miles). The Qutang Gorge is best known for its steep precipices that form an enormous gateway over the river. The Wu Gorge is home to the famous 12 peaks of the Wushan Mountains. And the Xiling Gorge is known for its hidden reefs, perilous cliffs and tumbling rapids. The controversial Three Gorges Project involves the construction of a dam which will be the largest hydroelectric project in the world. 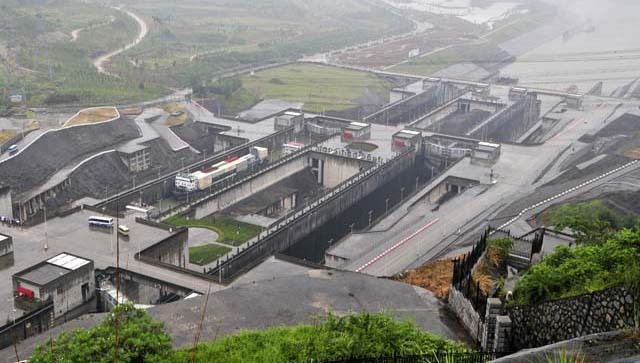 Qutang Gorge, the shortest and most majestic of the Three Gorges, winds five miles from Baidi City in Fengjie County to Daxi Town in Wushan County. The two banks of the Qutang Gorge contain numerous scenic spots. The two mountains resemble a gate that might have been created by Heaven and placed here on earth. As the peaks along the two banks are 3,281 feet to 4,921 feet high and the Yangtze River is only 109 yards to 219 yards wide, to see the deep gorge, fast-moving water, and chains of mountains form an imposing picture. Because of the Kui Gate, the Qutang Gorge is also known as the Kui Gorge. 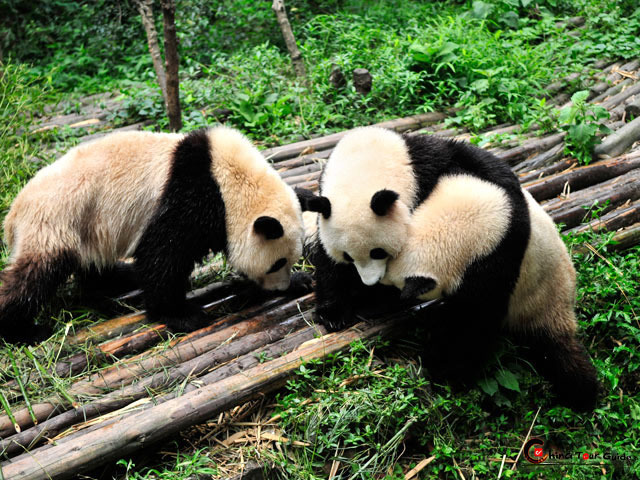 Wu Gorge is well-known for its deep valley and elegant beauty of forest-covered peaks. The twelve peaks of the Wu Mountain lie at the both banks of the gorge, among which the Goddess Peak in mist is the most attractive. The rugged peaks, curious rocks and steep cliffs spread all over the gorge. It seems like a gallery full of many beautiful things. 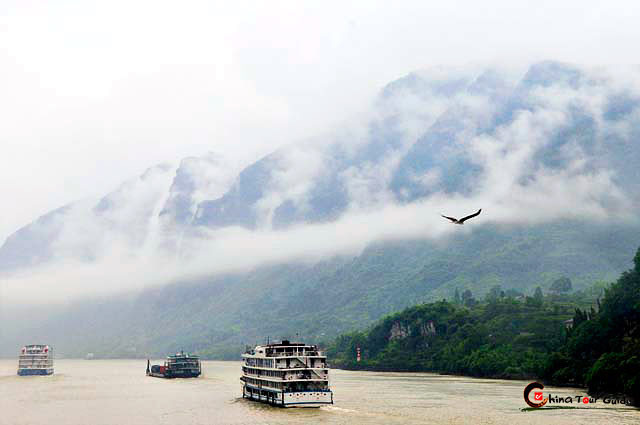 As strange peaks, grotesque rocks as well as fog and clouds surround the gorge, it is usually the most notable of the three gorges. Because of the long and deep canyons in the Wu Gorge, the daily period of sunlight is short which impedes the dispersal of air borne moisture within the gorge and so creates clouds and fog in a variety of fantastic shapes. How wonderful it is! Twelve Peaks: Along the Wu Gorge, there are twelve peaks on each bank. These are the most prominent aspects of the scenery of Wu Gorge. Many legends relate to the twelve peaks. Among the twelve, the Goddess Peak is the highest and most notable. As it is the first peak to welcome the sun's glow and says farewell to its afterglow, it is also called Wangxia Peak(Looking at the Sunglow peak). There are some popular legends relating to it that are worth knowing. Xiling Gorge is the longest gorge among the three gorges of the Yangtze River. Named after the mountain that at the endpoint of Three Gorges - Mt. Xiling, the gorge is historically famous for its natural scenes. Before the construction of the Three Gorges Dam and Gezhouba Dam, it was known for being the most dangerous of the three gorges to travel through with numerous reefs and odd-shaped stones existing in rapid shoals. Scenery along the Xiling Gorge is spectacular. 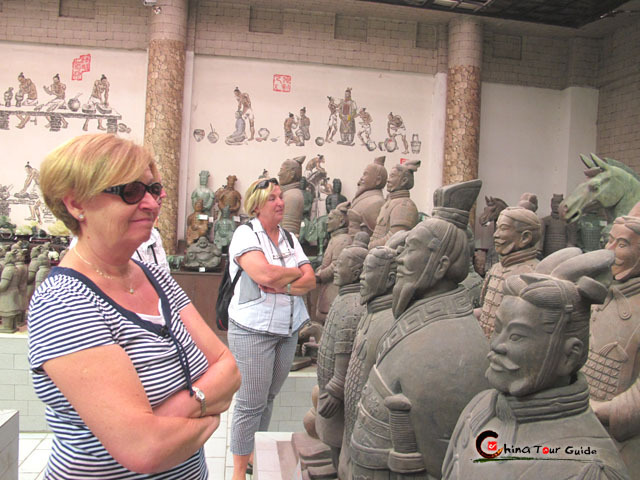 Some renowned streams, springs, stones and karst caves can be found along this section. 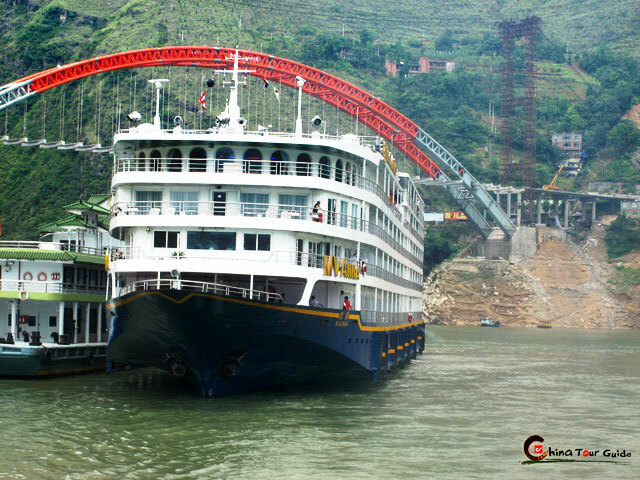 The most beauty of Xiling Gorge represents in the afterglow, with the warm atmosphere, occasionally fishing sampan sailing by the cruise ship.